Thank you for considering Ridgeview Family Dental in caring for your dental needs. Everyone has the same concerns about visiting a Dentist: comfort, convenience; as well as having a caring and qualified doctor and staff. 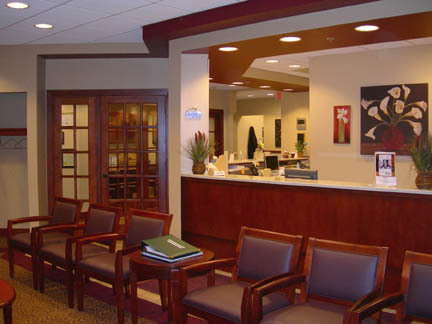 We are committed to making your dental experience, affordable, comfortable and personalized. Our clinical excellence in Orthodontics, General dentistry and Cosmetic dentistry has been part of our total oral healthcare for thirty years. Establishing rewarding and lasting relationships - with the youngest to the oldest member of your family- is important to us, as such, we are proud to offer you complete dental care in one convenient location. We hope you will find the atmosphere here friendly, our accomodations comfortable, and our technical services exceptional. Call today for your appointment so Ridgeview Family Dental can give you something to smile about!